I'm Caroline, the founder of Magnetic Movement. I am a professional writer and dance group coordinator and I have been working with the plants since 2011. I worked with plants ayahuasca and huachuma (San Pedro) in the Peruvian mountains and Amazon, getting to know them in their indigenous settings. I have learned more than I ever dreamed of from these life-saving plants and have the utmost respect and fascination for them. I am certain that they will play a big part in a new paradigm and a healthier collective conscious. I'm a qualified shamanic energy healer and am passionate about singing, music and dance meditation; they are compatible modes of transformation and a vital part of Magnetic Movement retreats. I’m Rachael of The Wider Reality. I’m a qualified shaman and healer. I am in constant communion with my spirit guides who are on hand to help you on retreat should you need them. My biggest passion is the magic and intelligence of the plant world. I’ve been using various plant medicines for many years now to assist in my own healing journey. Medicinal mushrooms in particular have been vital to my own healing and growth, and I highly recommend them as one of our most important teachers. It’s been an incredible journey so far in the world of the plants and shamanic practice. I’m really excited to be able to share what I’ve learned with you on retreat and guide you on your own path to healing and self love. 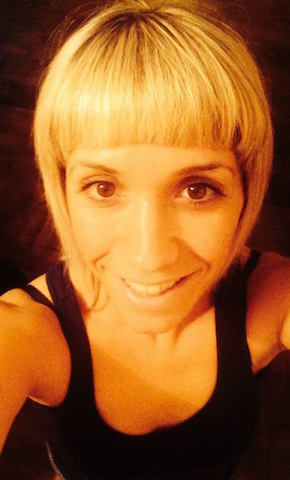 Estella is an experienced yoga teacher of 8 years. She is Yoga Alliance accredited with a nationally recognised Yoga Alliance teaching certificate. She's also a talented nutritionist and personal trainer, so you're in safe hands on our yoga, dance and cacao retreats. Estella is a Juice Master and she brings you the finest juices as part of your retreat detox. She is an inspiring person with many great skills, and as one of my favourite yoga teachers, I'm privileged to be able to work with her on retreat. No doubt Estella's passion will be as contagious for you as it was for me. A retreat with her promises to enhance your life in many ways - you're bound to leave with a renewed passion for your own practice and a refreshed set of skills to do it with. Find out more about Estella at her site, YogaBuddy.